Although images of sunsets and silhouettes are all too common, tweaking the usual formula can result in something different. In this image, the lavender sky was reflected in the long exposed soft movement of the Gulf of Mexico. 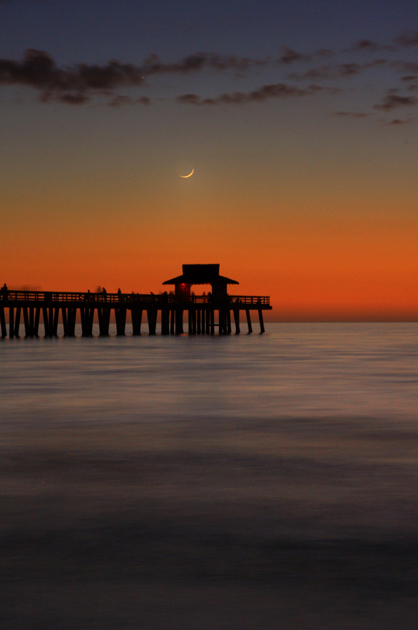 Then, the thin slice of Crescent Moon just above the Pier helped make this sunset silhouette.. a little bit more distinct.